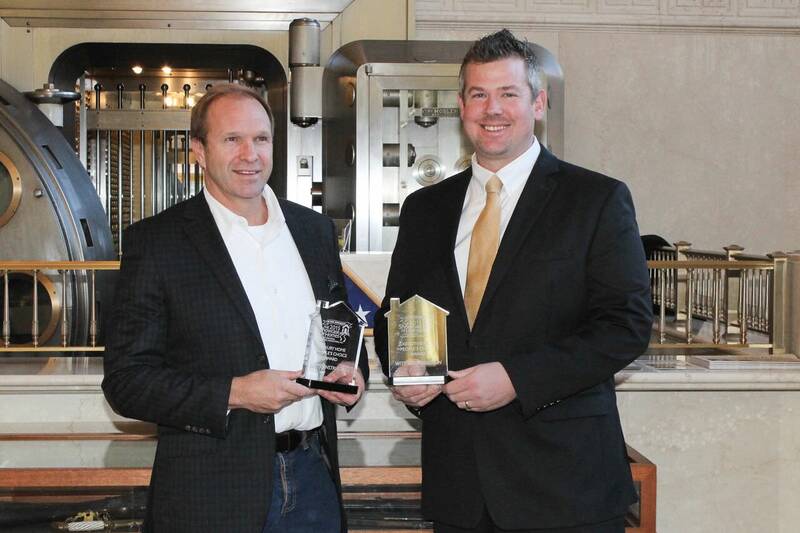 Saratoga Builders Association raises $44,000 from 2015 Showcase of Homes for local charities and announces People’s Choice Award winners!Witt Construction took home the top awards for both the Executive and Luxury Home categories. The Saratoga Builders Association presented $44,000 from the 2015 Saratoga Showcase of Homes to Rebuilding Together Saratoga County and Habitat for Humanity of Northern Saratoga, Warren and Washington Counties. SBA has now contributed more than $915,000 to our local charities from this area’s premiere new home tour event. 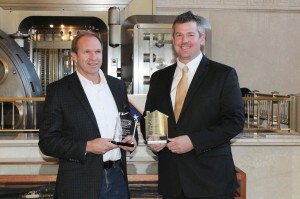 The 2015 edition of the Saratoga Showcase of Homes was outstanding with 11 award-winning builders presenting 12 homes. This year’s showcase was successful with nearly 3,000 people purchasing tickets to tour these beautiful new homes on display over three weekends. The builders’ artistry, along with the many talented designers who helped showcase their fine work, gave our community an opportunity to preview current trends in building, landscaping, decorating and interior design. In what has become an autumn tradition in our area, the Saratoga Builders Association is looking forward to keeping this long running show, which just concluded its 20th year, an integral part of the fabric in our fall season. The Saratoga Builders Association is a specialized professional trade association representing an industry basic to the well-being and economy of the people of Saratoga County. Its membership includes residential and commercial builders, developers, remodelers, building material suppliers, sub-contractors, financial institutions, architects, engineers, realtors, attorneys and other industry professionals. SBA is committed to the continued growth, prosperity and quality of life in Saratoga County.